10+ years of developer's live. 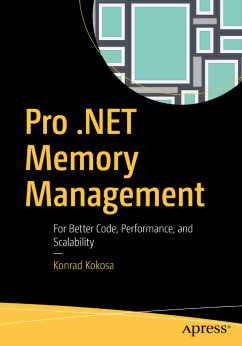 Big .NET enthusiast, but looking with curiosity at other technologies. Currently working as independent consultant. In love with performance and architecture topics, such like scalability, performance troubleshooting, monitoring and testing. Passionate in blogging, tweeting and public speaking. Founder of Warsaw Web Performance group, first web performance-dedicated user group in Poland. One of DotNetos. Microsoft MVP. How does Object.GetType() really work? Note: This is a first entry of a new series about Microsoft .NET CLR internals. I encourage you to ask – the most interesting questions will become a similar posts in the future! This one was inspired by Angelika Piątkowska. Proudly powered by WordPress. Theme: Flat 1.7.5 by Themeisle.